WASHINGTON— Throughout the 2018 National Police Week, the Department of Homeland Security (DHS) honored law enforcement officers and their families for their service and sacrifice. In Washington and around the country, DHS has been involved in memorializing these heroes throughout the week. 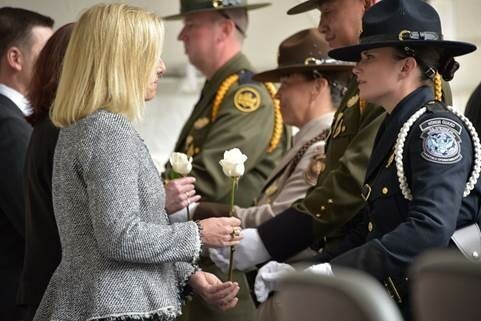 “Every year, in honor of Police Week, we pay tribute to the law enforcement community,” said Secretary Nielsen. “We lay a wreath in memory of those who put on a badge, went to work, and never came home again. We take time —one week out of the year—to say ‘thank you,’ and ‘I miss you.’ We reflect on those who’ve gone before us. We remember their sacrifice, and we comfort those they’ve left behind. DHS is the largest employer of federal law enforcement agents. Approximately one-third of our employees serve as law enforcement officers, and nearly 70 percent perform law enforcement functions. The Department’s law enforcement family includes U.S. Customs and Border Protection (CBP), U.S. Secret Service (USSS), Federal Protective Service (FPS), U.S. Immigration and Customs Enforcement (ICE), U.S. Coast Guard (USCG), and Transportation Security Administration (TSA). 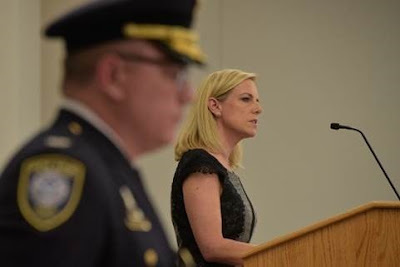 DHS also plays an important role in training law enforcement across the country through the Federal Law Enforcement Training Center (FLETC), which provides vital training to more than 90 federal partner organizations, as well as many state and local officers. Since its inception in 1970, FLETC has trained more than one million law enforcement professionals nationwide. 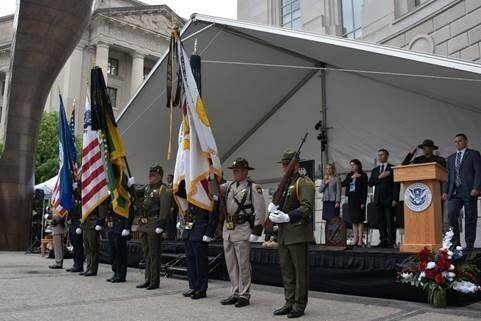 DHS is proud to participate in Police Week to pay tribute to law enforcement officers killed in the line of duty and honor all law enforcement officers and their families for their service to our country.